The Jefferson County Library seeks to provide quality Library service to all users in a safe and pleasant environment. Library Facilities will promote and support its mission. The facilities will provide an environment that is welcoming, physically comfortable, clean, safe, ADA-compliant and supports the technological and informational needs of its community. This policy extends to the public and staff areas for both users and employees. It includes the physical facilities, equipment, furniture, materials, bulletin boards, exhibit/display areas, and vehicles (including all service-providing vehicles). The policy also includes facilities the Jefferson County Public Library rents or uses in its service to the public. All users are expected to comply with the Library Code of Conduct and the Disturbance Policy. The Library reserves the reasonable use of its facilities. The following activities are not permitted within any Library facility unless expressly required to conduct library business. Verbal communication conveying information other than library business. However, the following activities may be conducted on Library grounds in accordance with the general policy set forth in the Public Use of Library Grounds. The following activities may be conducted in Library Facilities in accordance with the general policy set forth in this document. As an information center, the Jefferson County Public Library will provide access to free community publications as space allows. The display of nonlibrary produced publications does not constitute sponsorship or endorsement of the policies, views, or beliefs expressed in each publication. Each library location will determine if they will provide space for community exhibits, bulletin boards and displays. As a community destination, exhibit and display spaces enable Library visitors to participate in the creative life of their community, and exchange information on a variety of subjects. 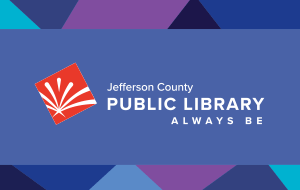 Jefferson County Public Library will make exhibit and bulletin board space available to groups from Jefferson County and the surrounding area that are engaged in educational, cultural, intellectual, civic or recreational activities. In accordance with the American Library Association's Library Bill of Rights, this space is available on an "equitable basis regardless of the beliefs or affiliations of the individuals or groups requesting space." The Jefferson County Public Library reserves the right to refuse to display any items considered by it to be inappropriate and/or unsuitable to or for a library environment and/or the public served by the Library. The Library strives to work collaboratively with exhibitors to maintain the integrity of exhibits; however, the Library reserves the right to alter, move, cancel and/or remove an exhibit that is in contravention of this or other library policies. Most items are displayed for no longer than one month. The library has guidelines concerning the manner, method and timing of exhibits and displays. These guidelines may also prohibit items that are in violation of any laws, or deemed to be derogatory or offensive. The display of items does not constitute sponsorship or endorsement of the policies, views, or beliefs expressed in any exhibit.